Image: Boom Studios. Cover art by Dan Mora. Boom Studios already has an excellent Power Rangers comic—but now it’s getting a companion series that is set in the earliest days of the teens with attitudes’ ranger careers. And while there’ll still be some action, it’s mainly focused on their lives outside of all that color-coordinated spandex. So naturally, instead of reveals like evil Tommy Oliver clones or dark dystopian alternate realities, Go Go Power Rangers big shocks are more focused on teen drama. Kimberly had a boyfriend before Tommy! Billy used to be best friends with Bulk and Skull, the bullies! There was a sixth member of the group who didn’t become a ranger! Honestly, it’s a pretty cool take on the wider Power Rangers mythos. While the main series is free to send the Rangers on grand adventures, it’s refreshing to see an exploration of the team’s relationships and lives outside of that, in an earlier context, and see how it all informs their later struggles in the main book. Considering how good Boom have been with Power Rangers so far, it’s definitely great to see more. 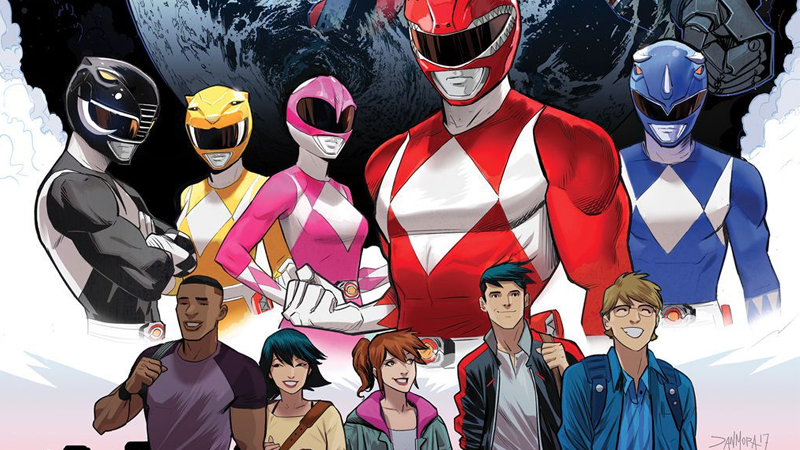 Go Go Power Rangers #1 is due to hit shelves in July.